A home is a haven and each décor is planned out with detail. It shows the character of the residents. Great care was taken in choosing your upholstery. It therefore needs to be taken care of. Do you have an accident by your favorite pet or your adorable child? Do you have a stain after your great party? You never need to feel like your favorite upholstery is forever ruined. We can make it new again. And that is why we offer upholstery cleaning. Cleaning home upholstery is what we do best in The Woodlands, Texas. Our team will come into your home with the expertise we pride ourselves in. They will quickly tackle your furniture cleaning challenges. We will leave them cleaner, fresher and brighter than we found them. And you will be a much happier customer. Our Upholstery Steam Cleaners provide you with superior results that you can be proud of. With the use of highly efficient equipment for upholstery cleaning your upholsteries will have all dirt within its fiber removed leaving it completely sanitized. We also pressure dry them and seal them to prevent future stains. Nothing can beat the power of steam to loosen the toughest dirt. Do you wish you could Clean sofa Stains and restore the beauty of your seat? Your whole couch can be cleaned or only specific stain spots can be tackled. Whatever your choice for upholstery cleaning may be, your sofa deserves the best of care because it is one of the most used items in your home. It is also one of the things in your home that leaves an impression on your visitors. 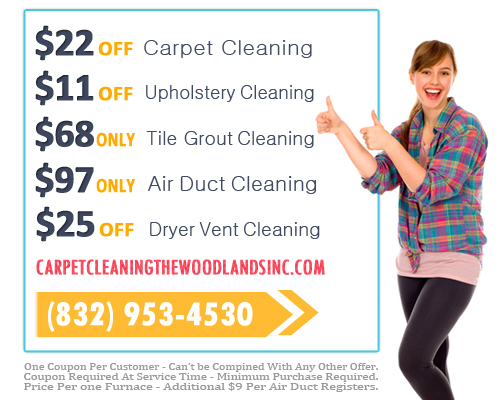 Your family and guests deserve to sit on a freshly cleaned and scented sofa made possible by Carpet Cleaning The Woodlands TX INC.
We in Carpet Cleaning The Woodlands TX INC will help you Clean Upholstery Fabrics and reintroduce the new furniture smell in your home. We work on all kinds of fabrics from leather to cotton to linen. Our cleaners also come to your home to provide the service and we will not ask you to haul your furniture to our location. We are a thorough and professional service that you can depend on. Extracting dirt and grime from your furnishings is not all we do. We also seal it with a protectant so the next spill is simply wiped off with no residue. Your dull upholstery will look vibrant again. That is the power of upholstery cleaning.